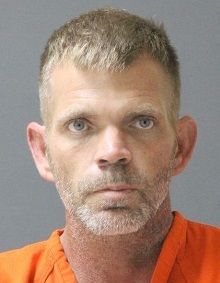 Yesterday evening at approximately 6:15 p.m. inmate trusty Joseph N. Moon, 39, left his Calcasieu Correctional Center trustee job at the Calcasieu Parish Sheriff’s Office Shop on Highway 90 in Lake Charles after stealing a CPSO unmarked pickup truck and driving off the property. Moon qualified to be a trusty due to his non-violent offender status. Detectives issued a BOLO (“be on the lookout”) for the truck and later the same evening at approximately 10:00 p.m. deputies with the West Baton Rouge Parish Sheriff’s Office located Moon driving the truck. Moon was apprehended and taken into custody. He is waiting to be extradited back to the Calcasieu Correctional Center. Moon will be charged with simple escape; and theft of a motor vehicle.